It’s Friday night. There’s a sold out show. Set to a backdrop of dank memes, throwback jams, and freshly popped popcorn, the audience saunters through the Nickelodeon Theatre with an air of uncertainty. Collaboration is rife with this same question. It’s that uncertainty, though, that drives a creative partnership into something beautiful. And this evening was nothing short of beautiful. Tonight, local off-kilter music acts Infinitikiss, Husband, Autocorrect, and live visual artists Fort Psych collaborated to mutate the DNA of traditional viewer relationships between film audience and screen with the immediacy and intimacy of a small music club. A spectacle of single moments, Infinitikiss let the crowd’s gaze drift between stage and screen as they built an entrancing cacophony out of saran wrap and percussion. Deceptively straightforward duo Husband effortlessly melded quiet folk stylings with modern dance music. The genre fluidity seeped out from the speakers, carrying us between the club, the recital hall, and then directing our eyes back the screen. 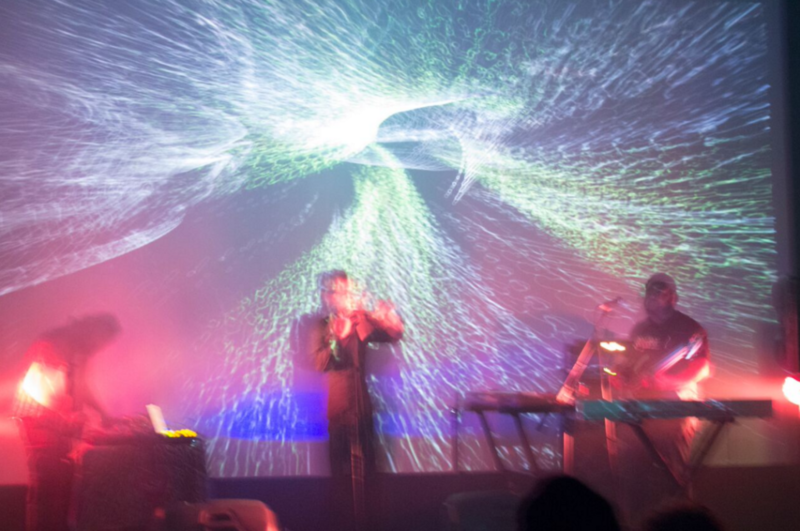 Throughout the opening acts, Fort Psych’s production alluded to a world of emptiness beneath the flashy lights. Autocorrect opened that world up like a can of snakes. 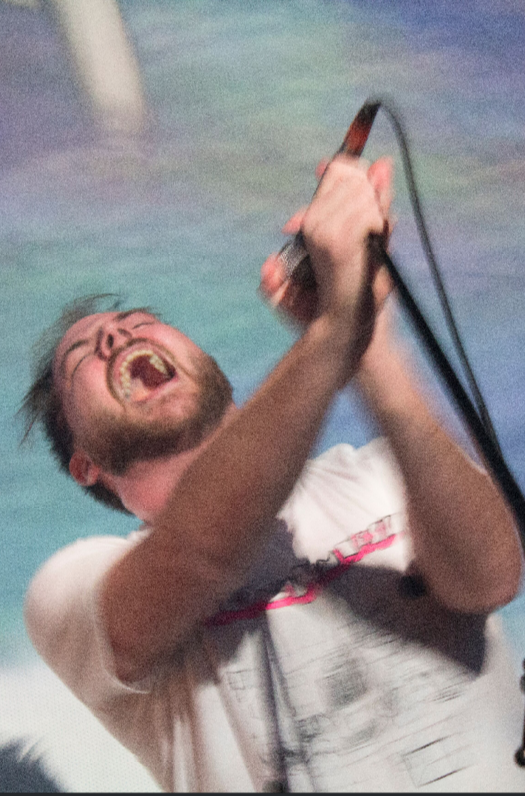 Jarring, frontman Cecil Decker emotionally eviscerated himself on stage as his cohorts played on with joy. A perturbed joy, as the rapper writhed against the emptiness over dense grooves that would call you to the dance floor if you didn’t feel so concerned. Magic Hour is the inverse of the magic circle. Perhaps it is in the nature of a variety show, but it feels like something stronger. There is no membrane separating the world of the event from the world-at-large. Instead, we sit in a summoning circle, together. This circle is conjured by examining relationships, experiences, and funny cat videos. By incantations of love and chants of regret. It looks like a concert, or a movie, or a stage production, but it is an out-of-body happening. And it is definitely magic.